Six months ago, Anna Puigdueta came to the BridgeEnglish Language Center in Denver, Colorado from Spain and has a been a familiar, friendly face in our halls ever since! She has participated in BridgeEnglish activities such as happy hours, international potlucks, and has just completed her course with us. 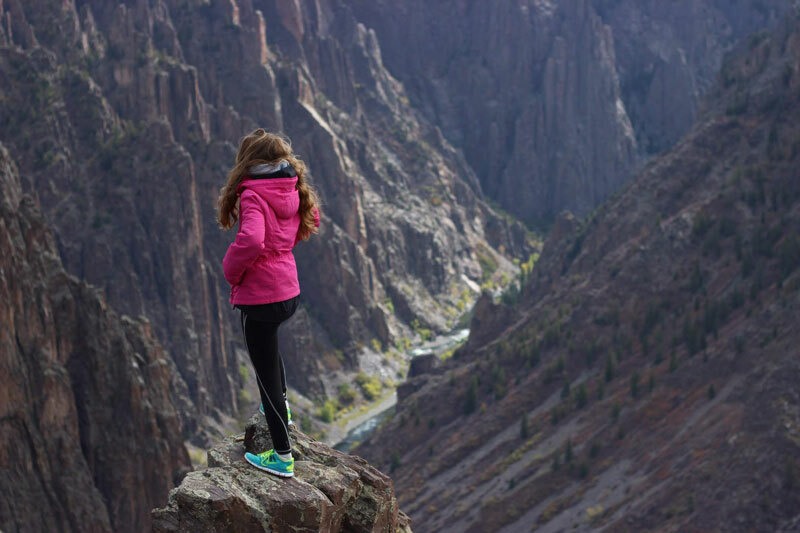 Here’s what Anna has to say about life in Denver, studying English at Bridge, and her future plans. Can you tell us about yourself? Where are you from? My name is Anna Puigdueta. I’m from Caldes de Montbui, a small town next to Barcelona in Catalonia, Spain. Well, nowadays English is the most important language that you have to know for business and travel, so I think that knowing how to speak and understand English is going to make me more successful in my future business life and also in my future relationships with people around the world. Anna at an international potluck with some of her BridgeEnglish classmates. My boyfriend is living in Denver, so I want to spend one year with him in Colorado while I was learning English. Bridge was my best option with properly qualified teachers and students around the world that could teach me about their cultures. What program were you taking at the BridgeEnglish Language Center in Denver? I was taking the General English course. 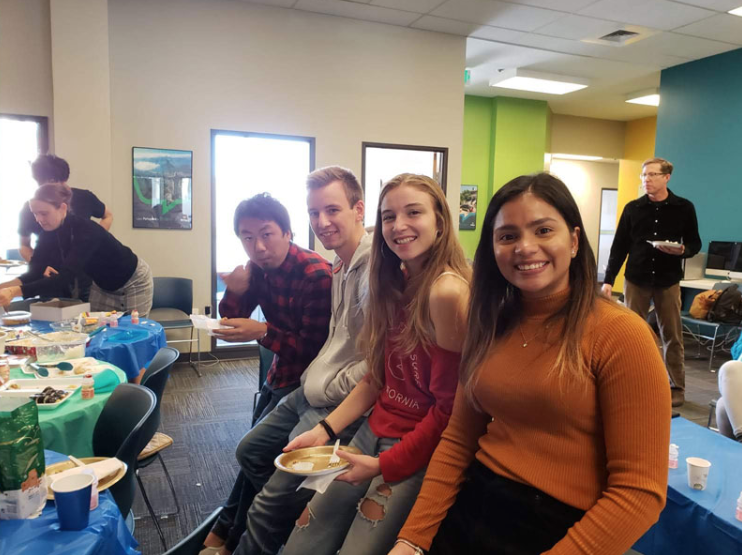 What do you like most about studying English at Bridge in Denver? I really like learning about different cultures and different ways of life. I also enjoyed that my teachers could teach me about American culture too. What was most difficult about studying English at Bridge? In the beginning, the most difficult thing for me it was that sometimes I didn’t know how to express myself properly, and it was easy to misunderstand what I was trying to explain. 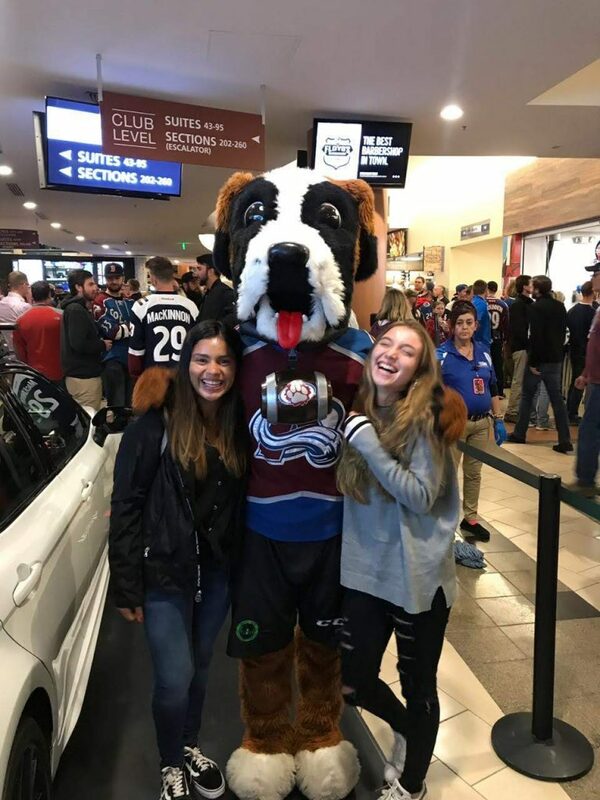 Posing with Bernie the St. Bernard at a Colorado Avalanche hockey game. How have you liked living in Denver these past six months? I liked a lot, but I quickly realized that the way of life in Barcelona is so different from here, and it was sometimes difficult to adapt here. Are you staying with a host family or another kind of housing? What’s it like? No, I’m staying with my boyfriend’s family. For me, it’s easy to live with them because they are also from Barcelona, so I can have a little Barcelona at home. I miss everything! My family, my friends, the weather… but what I miss more is the way of life. I feel like in Barcelona there is more of a social life than there is here, and it’s easiest to get closer with the people that you meet. How has your opinion of the U.S. changed since being here? Well, it hadn’t changed that much, because as you know from Europe we see all your TV shows and movies. But as I said, I thought that the way of life here was more similar to the Spanish one. I think that America is great and it’s an amazing country, but people here are too focused on working instead of living. The best part was meeting my new Brazilian friends and my teachers. Anna enjoying the incredible hiking — and views! — in Colorado. Where have you traveled during your time in the U.S.? I have gone to L.A, New York, New Orleans, San Antonio, Las Vegas, Grand Canyon, Route 66, and traveled around Colorado. Would you recommend Bridge to your friends? Why or why not? Yes, sure! 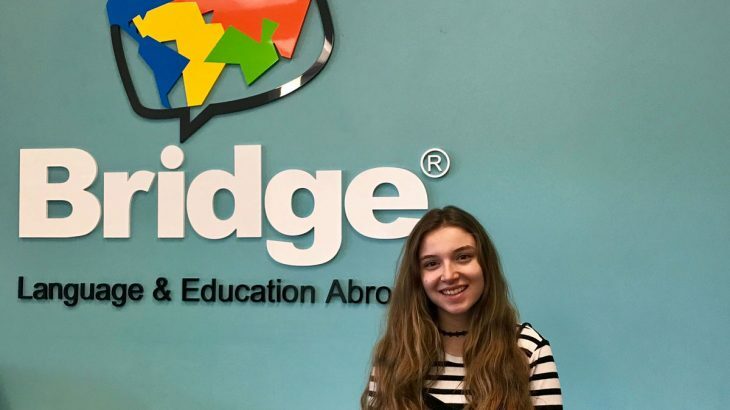 I’ll recommend Bridge to my friends because it’s the perfect place to learn English and meet people from all around the globe. It’s such a diverse school, where you can learn more than a language. I would recommend they come here with open minds, don’t judge and enjoy! What are your plans now that you’ve finished your program at Bridge? I’m going to travel around the states, and then I’m going back to Barcelona. Interested in studying English in the U.S. like Anna? Check out our guide to determine which BridgeEnglish program is right for you!